Originally published by The San Diego Union-Tribune, January 16, 2019. There’s no question California communities are struggling with a crisis of homelessness that needs solving. But one of the most prominent legislative solutions on offer — the “right to shelter” bill (Senate Bill 48) by state Sen. Scott Weiner, D-San Francisco — is an example of a well-meaning approach that will almost certainly fail to deliver, and cause unintended harm. 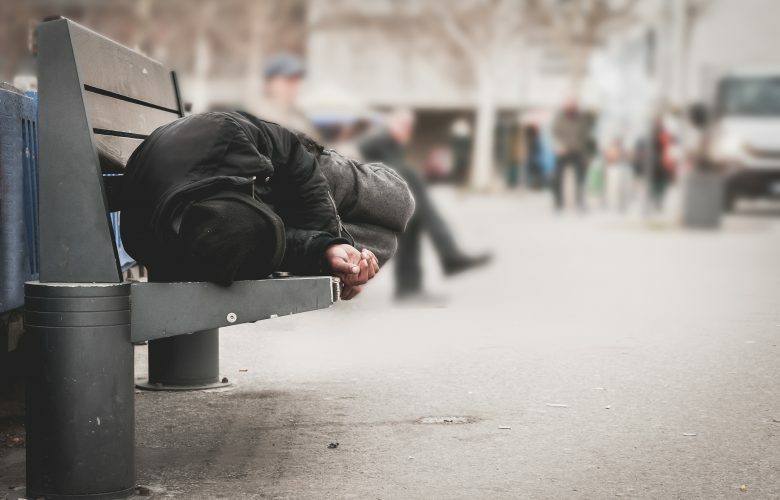 As a veteran of policy advocacy in California’s progressive Legislature, I am accustomed to hearing (and occasionally saying) “this is a worthy goal … but.” There is no “but” in this case: Sheltering the homeless is a worthy goal, period, and certainly a more important priority than the exorbitant funding we afford the state’s most affluent residents (high-speed trains, anyone?). Weiner’s bill would declare for the state’s homeless population a legal right to one type of shelter in their community. That may sound like a place to start. The question is, how? How does the state best assist in sheltering the homeless? How will SB 48 further that goal, and how will it increase local innovation, capability and resources? What obstacles and unintended consequences will it create along the way? Local shelter for the homeless is scarce, which means there’s a lot less shelter than there are homeless who need it. Redefining the problem of scarcity as a “right” does not make the scarce item any more plentiful, nor does it make those who must satisfy the demand for shelter any better at providing it. SB 48 is inspired by San Francisco’s promising experiment with navigation centers, which assist the chronically homeless (i.e., those who’ve spent a decade or more on the streets) into housing. The program deploys street counselors who develop relationships with long-term homeless residents, identify those who could benefit from the program, and then offer a range of services that address a fairly comprehensive portfolio of issues that relate to and/or exacerbate homelessness. The navigation center approach works because it’s flexible — counselors can customize solutions to each client. San Francisco’s navigation centers show early promise as an effective means to assist somewhere between half and two-thirds of the chronically homeless who are willing to work with the program. Sadly, though, Weiner’s bill follows a common pattern, in which a local solution that’s been developed, piloted, improved upon and implemented by a passionate core group is then mandated statewide as the one way that everyone else must follow. In this case, SB 48 will impose a lone model on all communities’ approach to homelessness. How will all local communities staff up the expertise and supply the resources necessary to provide the navigation centers that all homeless will have a right to access under SB 48? If local governments are not able or ready to deliver, what then? How many effective local efforts will lose funding and staffing because they are doing something different than what is mandated? Many of these questions have been raised about New York Mayor Bill de Blasio’s new homeless housing program: Critics have charged that it reduces funding for and availability of affordable housing that is necessary for preventing many of the working poor from becoming homeless in the first place. Even San Francisco had to reassess its navigation center program following its rollout, in response to the feedback of real-world implementation. Navigation centers were originally envisioned as moving entire homeless encampments into housing as a group. When it became clear this wasn’t feasible, the city reworked the concept into the promising model it now is, based on customized outreach from city counselors to homeless individuals. San Francisco’s navigation centers appear to work because their core concept is a deregulatory model that gave program leaders the leeway to respond to changing circumstances. The thicket of rules that dominate the typical shelter system were impeding assistance to the chronically homeless, so the city took a chance by relaxing those rules to try a different approach. To nobody’s surprise, flexibility works. SB 48’s conversion of San Francisco’s experiment into a statewide mandate overlooks the key lesson of the experiment: to fix a complex problem, provide lots of resources to passionate and capable people on the ground and let them develop solutions that work, instead of telling them how they have to do it. Creating local responses to local problems, rather than dictating top-down solutions, will have a much higher chance of success at helping California’s homeless residents. So: more state resources for local communities to innovatively help their homeless residents? Yes, please. More state mandates for how to do that? Stop already. Francois is a senior attorney at Pacific Legal Foundation.